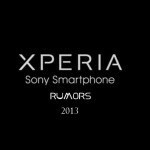 Xperia Z Ultra has been creating news since it’s launch and the rumored Xperia Honami i1 has just followed it. 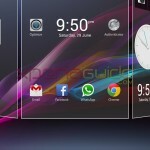 A bit amusing thing is that, Xperia Z Ultra has been launched but rather than leak of it, we are seeing leaks from Xperia Honami 😛 Well some days back we posted Xperia Z Ultra ZU and Xperia Honami Android 4.2.2 Official Themes and wallpapers and now we present you the official Xperia Home Launcher and new widgets from Xperia Honami i1 to be installed on Xperia S, SL, Acro S and Ion. Xperia Honami is expected to come with Android 4.2.2 Jelly Bean but as we all know that Xperia Z and Xperia ZL have officially been updated to Android 4.2.2 Jelly Bean 10.3.A.0.423 firmware but as we compared we saw older version of Xperia Home Launcher 5.3.A.0.3 in Xperia Z which points that very soon Xperia Z and ZL will be getting another android 4.2.2 update to match the UI of Xperia Honami and Xperia Z Ultra. What’s new in Xperia Honami ? 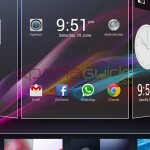 Xperia Honami Android 4.2.2 Home Launcher Version 6.0.A.0.12. New Home Screen Widgets, New Clock, New Quick settings. Your device must be atleast on Android 4.1.2 Jelly Bean “DeOdexed” ROM, if you don’t have deodexed ROM then either flash it or make your stock ROM to a deodex one. Works flawlessly on DeOdexed ROM. 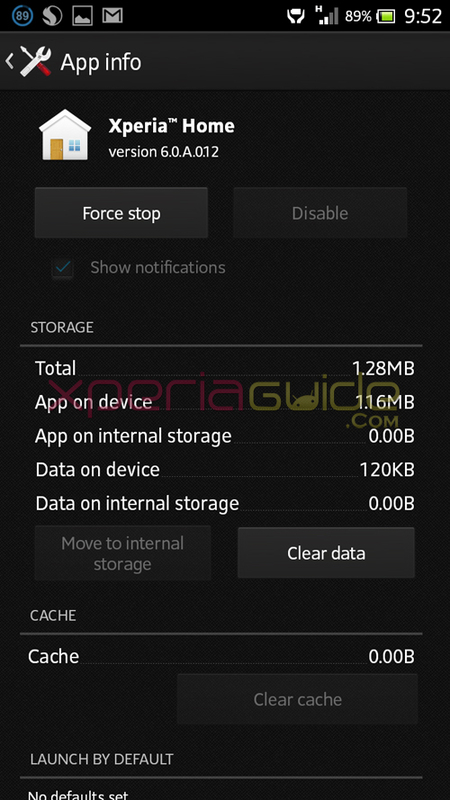 How to Deodex Xperia Z Android 4.2.2 10.3.A.0.423 Jelly Bean Stock Odex ROM ? 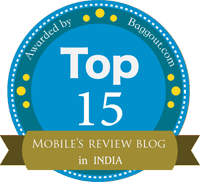 Device must be rooted on Jelly Bean, if it is not check below link on how to root ? 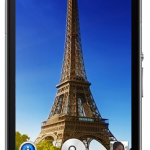 CWM Recovery must be installed on your device or any other recovery. If you don’t have recovery installed, then you can install CWM recovery v6.0.3.0. 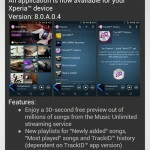 Check below link on how to install ? Flash the above two files in CWM recovery on your device. Wipe the Cache and Dalvik Cache. After rebooting clean the data of “Xperia Home” by navigating to “Settings > Apps > All Apps and clear the data”. It’s done 🙂 Now enjoy the new Xperia Home Launcher and widgets on your Xperia device 🙂 If you face any problem in installing do let us know, drop comments. 35 Comments so far. Feel free to join this conversation. 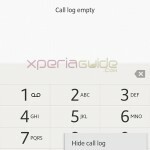 Installation aborted for Xperia Home … What can I do ? Are you on deodexed rom ??? Which device ?? 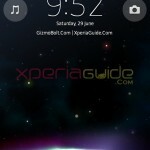 I already have Deodex ROM for .211 Xperia SL (from http ://forum.xda-developers.com/showthread.php?t=2320711), but i still can’t install Xperia Home. CWM keeps aborting my installation. Honami_Home_Xperia_S_v2_normal.zip unable to mount cache..when installing in TWRP. All sony devices have poor sound quality. No midrange and subwoofers. Look, if u play mp3 files on samsung devices it even vibrates and very excellent sound quality. If u ask me about sony devices? No comment. 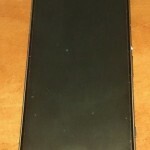 I want Deodexed rom for my XS. IT will let you know how to make deodex rom, you just need to flash a zip file in recovery. 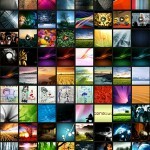 Hi I would like to have the deodexed rom in order to have the launcher could you pass me the link. I was already changed odex to deodex rom, but I can’t installed Honami home…keep aborting my installation. You have got a bootloop…please flash back your old backup. 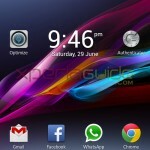 sending this massages via xperia ion rooted….doedexed jb…..
problem solved via FB comment.!
. what to do? i have deodexed .211 firmware. Try rebooting recovery and wiping cache and dalvik. It works ok, but after every reboot says : xperia home launcher stopped. After a couple of this messages it stops and runs ok, but again after a reboot, xperia home launcher stopped, and after a few OK’s it runs great. Why Xperia Home Launcher message appear after every reboot? The installation was done by the book, so it’s not that. Why? It worked perfectly on my deodexed Acro S. However, tumbler apps crashes and facebook apps news feed cannot connect to network. are you able to restart phone. ? try rebooting in recovery and install backup. If not able to then try connecting phone in flash mode in between bootloops and try reflashing / or re updating via SUS. I have the last update of android on my xperia z will work without problems?